A friend and fellow wargamer gave me a trilogy of books by Andrew P. Mayer, The Falling Machine, Hearts of Smoke and Steam and Power Under Pressure which form The Society of Steam Trilogy. The novels tell the story of Sarah Stanton, daughter of New York Steampunk Superhero, The Industrialist and her battle against Lord Eschaton, a Villain powered by Fortified Smoke. These books are terrible. They are poorly written, with extended passages that go nowhere and add little to the story, the trilogy could have easily been two or even a single novel with a decent editor behind it. Andrew P. Mayer is a designer of video games by trade, which shows in his lack of understanding of Victorian Society, literary syntax and even Superhero tropes. I'll point out that my education was in Literature, lest I seem to be too harsh, but I have little time for poorly edited books when there's so many good books out there I haven't read yet. 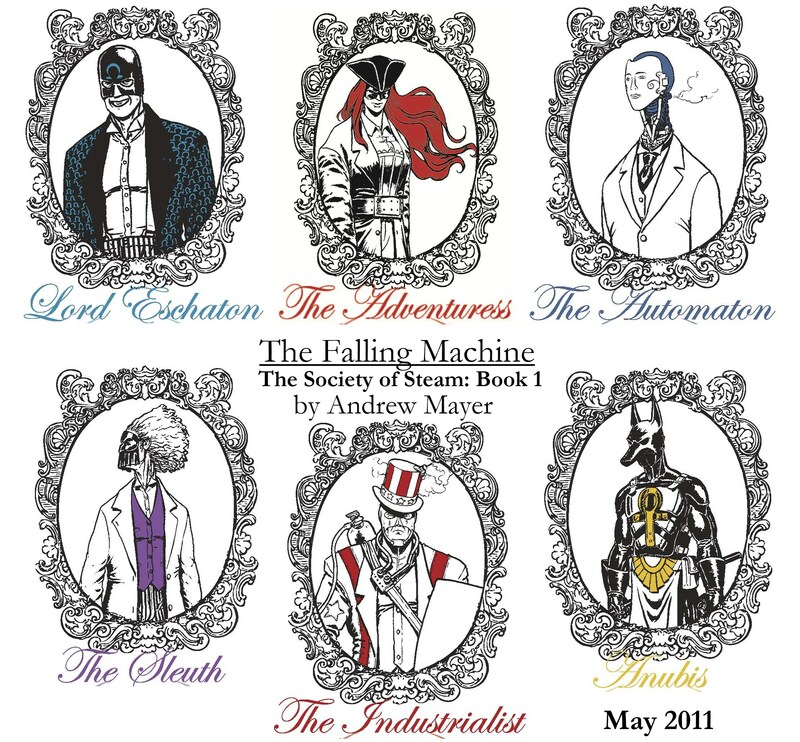 The characters in The Society of Steam are mostly two-dimensional, the Victorian Woman wants to be treated the same as a man, the villain is an evolutionist, the black man has to hide his race to be taken seriously, however; every person seems to be in such a constant state of flux that there's no point getting attached to a character anyway. Any powers come from Fortified Steam and Fortified Smoke, magical substances that reek more of fantasy than Steampunk or VSF. Society of Steam is redeemed by one thing; the Heroes and Villains would make pretty cool VSF Super System Teams. The Industrialist, Anubis, The Sleuth and the Automaton have a legitimate Victorian "feel" to them and Jack Knife and his cronies would be a characterful team for Empire of the Dead. As a Novel, even a Superhero Novel: 2 out of 10 worth a look for ideas if you're heading down the VSF supers path, but otherwise pretty dull. So I decided that it may be fun to go back over some of the Superhero and related Films, TV and, of course, comics and take another look at them from a gaming perspective. Also, I'll get a chance to flex my seldom-used Film Graduate muscles. 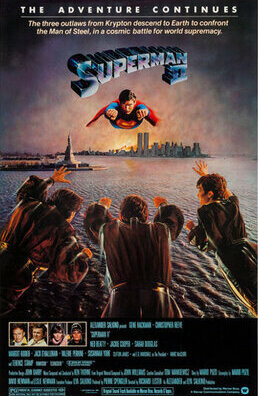 First off the blocks, Superman II. It's been a while since I watched this film and also the last Superman film I saw was the abominable Man of Steel, so I saw Superman II in a new light and fell in love with it all over again. First of all, yes, this film is extraordinarily camp, time has not been kind to it and over thinking the stylistic choices can ruin the enjoyment in seconds flat. Despite being made during the Bronze Age of Comics, Superman II is very much a Silver Age story, complete with Superman making up powers on the fly, skin-tight costumes and broad dialogue. If, however, you can get past this and watch the film for what it is, it is brilliant. Superman prevents a hydrogen bomb from exploding in Paris (at the Eiffel Tower, no less) and the resulting shock-waves free General Zod and his cronies from the Phantom Zone to menace Earth. Meanwhile, Superman has revealed his secret identity to Lois Lane and temporarily given up his powers to be with her. Superpowered beat-ups ensue. In terms of miniature gaming potential, there isn't much to be had in Superman II, the technology of the time prevented the fight scenes from being as quick as they should have been, though the fight in Metropolis is still pretty exciting. Personally I much prefer the look of Terence Stamp's Zod to any of his comic appearances or Man of Steel, it's a shame no Clix or miniatures were ever done of him. As a Superhero film, 7 out of 10. Very quotable. "Come to me, son of Jor-El, kneel before Zod!" King, Jack, Ace, Ten and Queen. I really enjoyed the Royal Flush Gang in Batman Beyond, so when I saw the clix, I had to have a set. The bases are resin for the sake of stability and the cards are from an x-mas cracker. I can also use them as a Sky Surfer Gang for Judge Dredd. A bit of a passion project which I can't wait to game with.